When you delve a little deeper, you discover that most parents are trying to raise healthy, well-adjusted children who grow into happy, responsible adults. The connection that you, as the parent, make with your child is key to this success. How you speak to your child will directly impact how your child will respond. In times of relative calm and stability, communicating with your child can be enjoyable and effortless, but during times of stress, communicating can be extremely difficult. Positive communication is a skill that requires patience and practice, but the rewards can be immeasurable, fostering true lasting closeness with your child. Do you need a parental time-out? During emotional, tense conversations, it is easy for communication to break down. Negative emotions of anger, anxiety, fear and defensiveness can derail any conversation leaving all those involved with a greater sense of frustration. If you are engaged in a difficult conversation with your child and feel that it may be escalating out of control, consider taking a step back. Stop talking for a moment and give yourself and your child a moment to calm down. You may feel compelled to explain your point of view, but in the heat of the moment, your child will not be able to hear you. You are truly wasting your breath so choose to breathe instead. Are you aware of your tone of voice, facial expressions, and muscle tension? Remember a lot of what is conveyed to your child is through your body expression rather than your words. Look closely at your child and notice his/her facial expression, tone of voice, and choice of words. Only in careful observation can you then really understand what is happening. Calmly approaching the most difficult of conversations will allow for a more positive interaction and a greater degree of understanding. Often parents feel that they must do the majority of the talking when it comes to their child, but listening is critical. Your child also has a point of view. You want to be heard and so does your child. Listening demonstrates respect and opens the way to positive communication. Listen carefully and maintain eye contact. Stay engaged and make the conversation the highest priority at that moment. Reflect back to your child what you think your child is saying. Acknowledge that your child has his/her own perspective even if it differs from your own. Find the positive in what your child is saying. Remember if your child is talking to you then he/she is communicating and confiding in you and that is positive in itself. How are you speaking to your child? 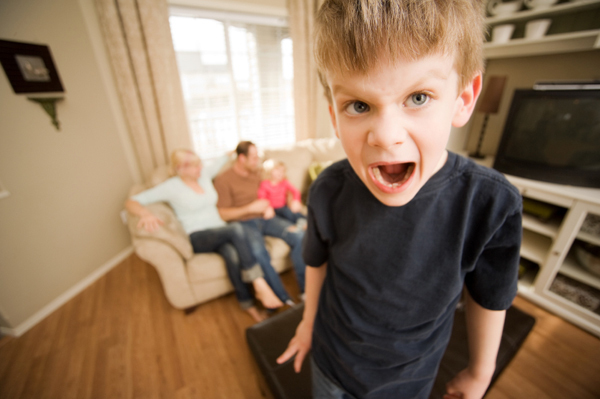 What happens when you yell at your child? Chances are they yell back in response or perhaps they stop talking altogether. Lower your tone of voice and speak slower. It gives you time to recover particularly if your child says something challenging. Use fewer words and keep your message simple. There’s always time to revisit the conversation at another time. Do not feel that you must tell your child everything at one sitting. Give information and provide encouragement. How are you staying connected? Put simply, communication takes work. It is natural and appropriate to give advice, but consider, at times, asking your child questions to keep them thinking about other perspectives. Acknowledge and respect differences in opinions and perspectives. Keep things open for discussion. Talk when there is no agenda other than sharing and enjoying each other. Call 404-502-0420 for a no-cost consult.